In this article published in April 2016, the Sunday Herald shows that more than half of Scottish adults believe that more should be done to tackle payment card fraud. It also pints to the test done by Which? that revealed how a cheap card reader can easily be purchased online and used to steal data from contactless cards. We know from our experience and testing, that a criminal could steal your 16 digit card number and expiry date. This can then be used on websites that require low levels of security to process payments. Some tests have shown how thousands can be taken quickly with just a small amount of information. 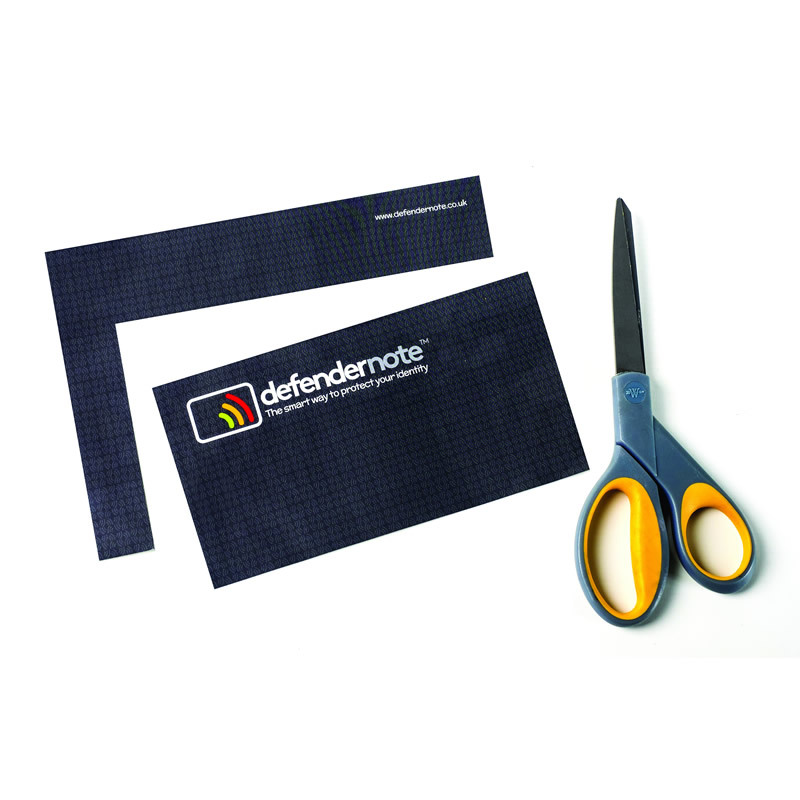 The Defender Note is designed to block RFID signals from contactless payment cards while they are in your wallet. This ensure that data is not stolen, especially when in crowded places where you wouldn’t notice someone using a reader within close proximity of you.